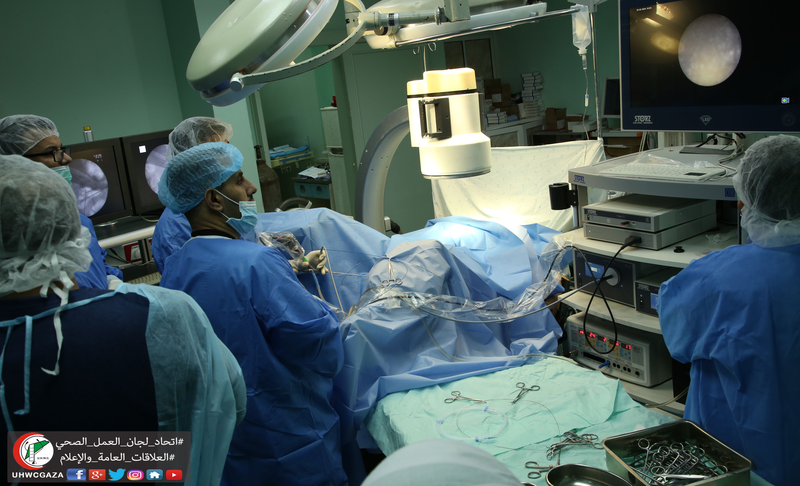 For the first time, the medical team at Al Awda hospital of the (UHWC) in the northern Gaza Strip and with the funding of the Qatar Red Crescent within the project "Development of Urology Services at Al-Awda Hospital in the northern Gaza Strip" using a device to lithotripsy by Laser technology, where the operation conducted both in kidneys and ureters which headed by Dr. Fayz Zidane and his accompanying medical team. 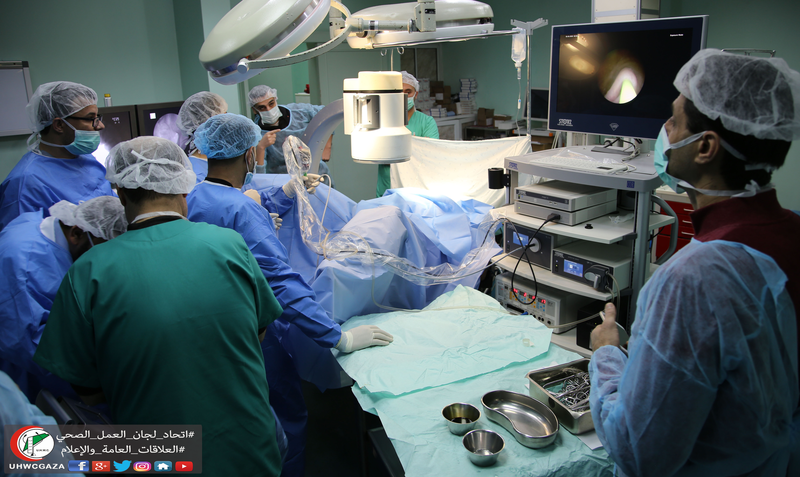 Where Dr. Ahmed Mhanna ,acting director of Al Awda hospital, commended: "This operation was conducted in record time and the patient is nearly fully recovered, emphasizing that this service is a precedent in the northern Gaza Strip and it is available to all our people." 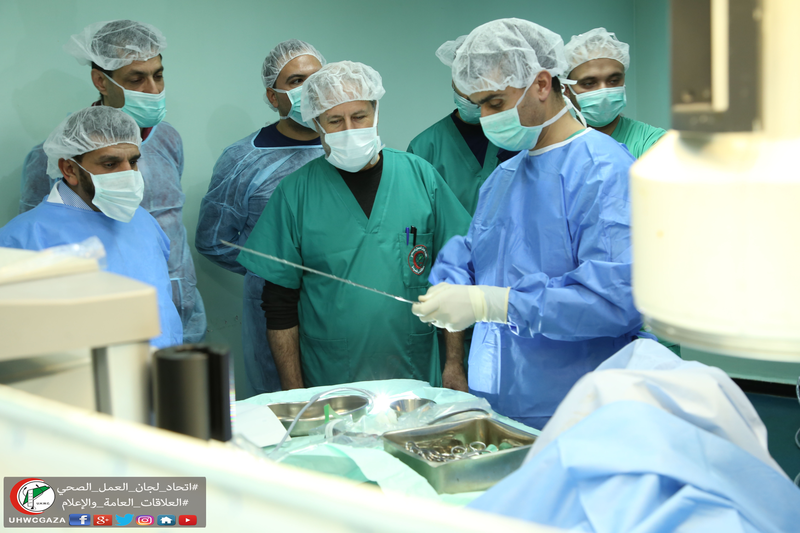 As he also confirmed that the Urology and Lithotripsy device will contribute to provide quality services to 380,000 people in the northern Gaza Strip. 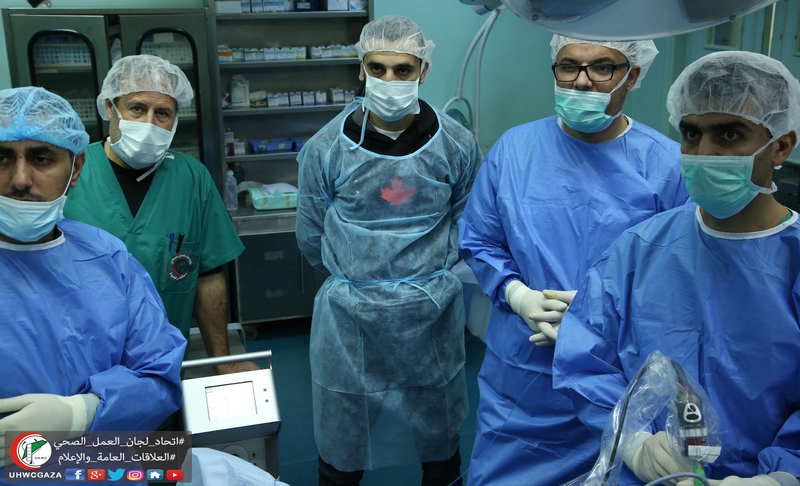 This surgery is the first of its kind in the northern Gaza Strip. Traditionally, the treatment way of stones was in a classical way, but by using Laser technology the patient avoided surgery and the consequent possibility of complications such as bleeding and pain and the possibility of infection after the operation, in addition to the period of healing that may last from one to two weeks at least. It is worth to mentioning that the patient was able to exercise his daily life naturally without pain in the next day of the operation. 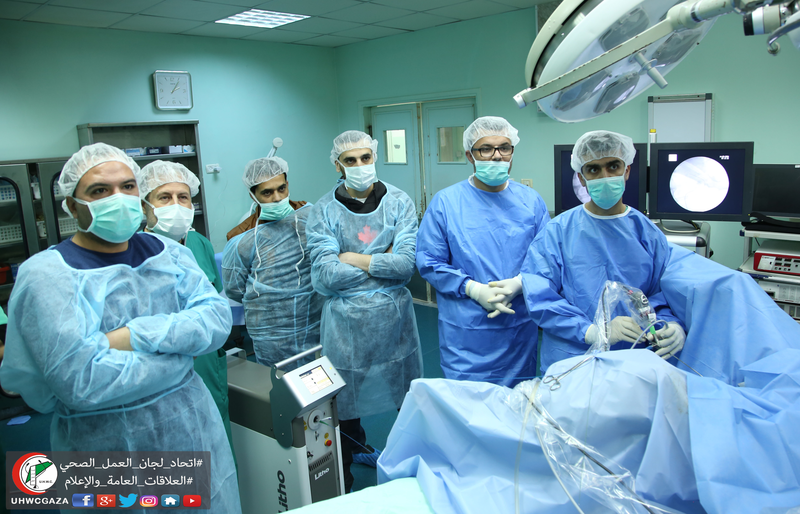 This project will constitute a paradigm shift in Urology services at Al Awda hospital in the northern Gaza Strip. It will also reduce the need to transfer patients out of the Gaza Strip to receive such treatment. This project will also contribute to alleviating the suffering of increasing numbers of urinary tract patients as a result of increasing the salinity of drinking water in the Gaza Strip and its impact on the health of citizens. The (UHWC) thanks the Qatari Red Crescent for its support of this type of project. It also affirms its constant readiness and moral commitment to our people to provide the best quality health services by all means and possible means and to invest human resources to provide quality health services in accordance with the slogan "Health Service is a right to whoever needs it".